Legends Dilip Prabhavalkar and Manoj Joshi’s starrer Marathi film Dashakriya created history recently by winning three National awards at the 64th National Film Awards. The film based on the novel ‘Dashakriya’ by Baba Bhand had also received an overwhelming response at the Cannes film festival and the Goa International Film Festival. Produced by Kalpana Vilas Kothari, directed by Sandip Patil and written by Sanjay Krushnaji Patil, Dashakriya is based on the tenth day ritual after death and also portrays the tribulations of the caste system. 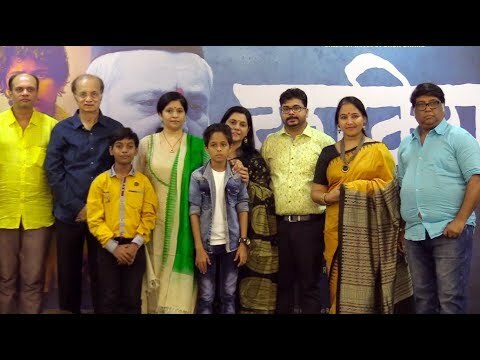 Along with Dilip Prabhavalkar as Patresavkar and Manoj Joshi as Keshav, the cast also includes Aditi Deshpande as Shanta, Milind Shinde as Vitthal, Milind Phatak as Narayan, Asha Shelar as Atya Bai, Santosh Mayekar as Tukaram, Uma Sardeshmukh as Savkarin Bai who has given their power-packed performances in the movie. Child actors Arya Adhav and Vinayak Ghadigaonkar will be seen making their debut as Bhanya and Kirkirya; also other 150 child artistes have made their debut through this film. Dashakriya is all set to hit the theatres on 17 November 2017. The film has also received a backup from Zee studios and popular Bollywood star Irrfan Khan as Dashakriya’s trailer will be released along with Irrfan’s upcoming movie Qarib Qarib.